Many people believe that once you have root canal therapy performed on a tooth, that tooth will never again be in need of endodontic treatment (treatment that addresses the pulp in the tooth’s innermost chamber). However, that isn’t always the case. If a tooth that previously had problems with its pulp begins to act up again, you may need to visit an endodontist in Reno for retreatment. Read on to learn more about what endodontic retreatment is and how you can tell if you may need it. 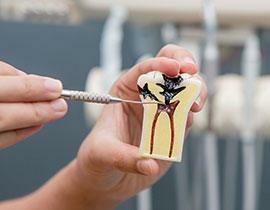 Root canal therapy cleans out the infected area inside of a tooth. Then, the tooth is sealed. Usually, a crown is necessary to protect it from further damage. The retreatment process is similar in some respects to root canal therapy. However, it may be more complex because the endodontist will have to reopen the tooth and may have to disassemble any restorative work that was keeping the tooth strong and sturdy (such as the crown, post, and filling material within the tooth). After he gains access to the root canals, Dr. Tim Adams, our on-staff endodontist, carefully and thoroughly cleans out the tooth and once again fills and seals it. Then, you can receive a new crown. Why Would I Need Endodontic Retreatment? There was an issue with the original treatment that prevented it from being as effective as possible. For example, the tooth’s root canals are especially narrow or curved, which prevented them from being thoroughly cleaned out. There was a delay between the root canal therapy and the crown being placed on the tooth. The crown didn’t prevent saliva from contaminating the inside of the tooth. New decay is afflicting the tooth. The crown on top of a treated tooth breaks or falls off. The treated tooth is cracked or fractured. 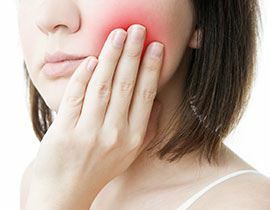 You are experiencing pain or inflammation in the tooth or in the gums around it. The team at Summit Boulevard Dental wants to relieve your pain and help you get back on the road to a healthy smile! If you suspect you need endodontic retreatment, contact us today.